The first complete translation of the Bible into English was produced by the followers of John Wyclif in the last quarter of the fourteenth century; it is known in two versions, very literal and more idiomatic, and, despite being banned within 25 years of its completion, survives today, complete or partial, in around 250 copies. The organization of the enterprise almost certainly was initiated in Oxford, and reflects in many ways contemporary scholarly interests. The gospel commentaries of the present study represent a spin-off from the processes of translation: they use the literal text, and attach to it English translations of patristic and later biblical exegesis. The book considers the background to the copies that survive, the precise sources that lie behind the vernacular, and the ways in which older texts were scrutinized and modified to fit a later medieval audience; a section looks at the uses that, so far, have been traced. 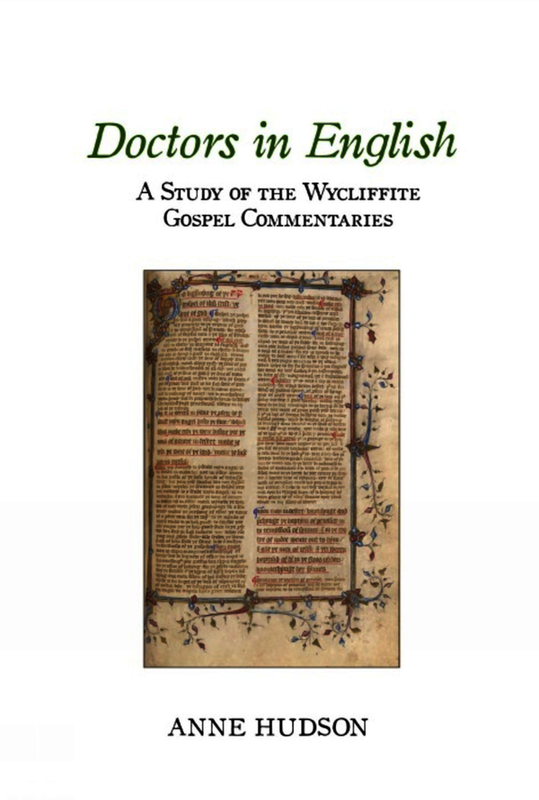 No part of the commentaries has so far been printed: this study concludes with some extracts from all sections of the compilation, chosen to amplify the claims of the discussion and to illustrate the commentaries' varied methods. Professor Anne Hudson is Emeritus Professor of Medieval English at the University of Oxford and Honorary Fellow, Lady Margaret Hall, Oxford. She is a Fellow of the British Academy, Corresponding Fellow of the Medieval Academy of America and honorary doctor of History, Charles University, Prague.